From the Golden Triangle to the ancient meditation caves at Pak Ou! Cruise down the Mekong with several opportunities to sample Laos’ rural life first hand and get a lesson in how rice whisky is made. 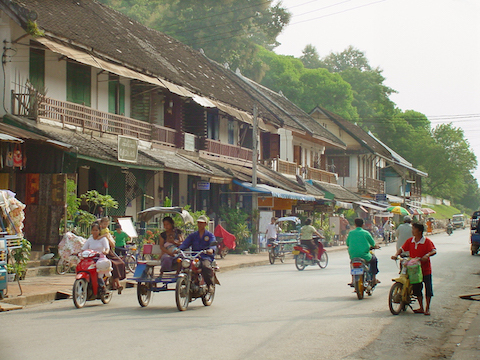 Arrive in the ancient capital of Luang Prabang with its splendid temples, textiles and mountain scenery. Enjoy a swim beneath a multi-tiered waterfall that tumbles over limestone formations into a series of turquoise pools.